For many entrepreneurs, getting a successful sale or deal from a client is something that helps drive their business and lets them sharpen their negotiation skills. Business owners even follow a simple acronym whenever they have to ensure the outcome of any sales pitches with their customers which is ABC, otherwise known as “always be closing”. Learning how to successfully close a deal is one of the fundamental lessons that not only sales agents should know, but also entrepreneurs who possess their own businesses or who follow self-employment. 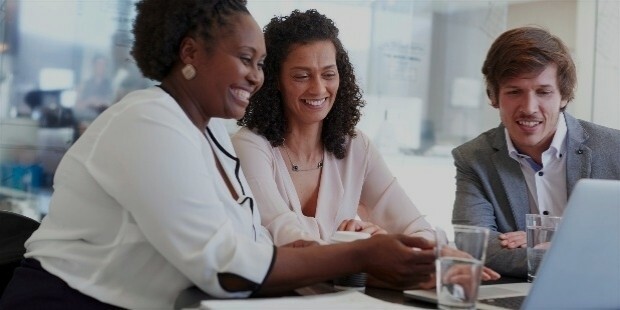 The art of selling is something that requires a deep understanding of consistently changing consumer and market trends, customer service, as well as the ability to interact with other people on a social level so one could parse out exactly how to get interested parties to buy something being marketed to them. Make no mistake: it’s not an easy thing to convince people to be on board with a business deal that involves a considerable amount of money on their part, but it’s not exactly impossible for a sales agent to close a business deal with a positive outcome. 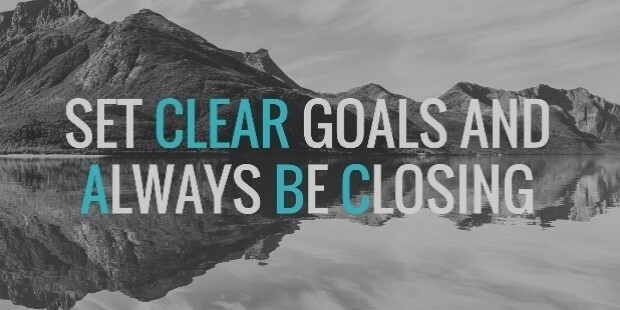 If you want to have a really good track record when it comes to closing business deals with clients, then you need to learn a few important things that will help you achieve your professional goals. And in the famous words of the musical group Jackson 5, ABC is as easy as 1-2-3, so closing business deals in your favor is within your reach once you know exactly what to do when dealing with clients. Look to the helpful pieces of advice featured below to know the steps you need to take in order to ensure that you will always be closing. The process of selling something to your client—whether you’re offering life insurance plans or showcasing luxury real estate properties—always involves a fair amount of paperwork, so you have to remember that you should prepare all the pertinent documents before, during, and after the sales process. This gives a good impression to your clients because putting everything on paper implies that you’re all about transparency, and this allows them to breathe easy knowing that you want the process to be as clear as possible. So whether you’re explaining the service or product to your client, you should make sure that they have a guide to understanding your sales pitch in a written format. When your clients have something tangible that they can review, it’ll be easier for them to make a decision that would place the deal in your favor. From the perspective of the customer, seeing is believing, and they’ll believe your sales pitch if they see you proposal in writing. Putting things on paper will also put you and your client on equal footing with the deal. All of the best sales agents are well-versed in the art of delivering a sales pitch, and they know exactly the right words to say in order to convince people to sign agreements on various business deals. But more than just knowing what to say, savvy sales agents and entrepreneurs possess a high level of confidence whenever they are speaking to clients. Talking confidently can go a really long way to helping you reach your goals faster, and if you’re able to apply a strong attitude of self-assurance, then you’re definitely right on track. However, you need to understand that there’s a big difference between sounding confident and sounding aggressive or desperate when presenting your sales pitch to a client. When you’re attempting to sway clients to say yes to a deal, it’s important that you should not be pushy when you’re talking about the deal to them. You’re more likely to have clients eating at the palms of your hands if you entice them with what you’re offering but leaving the final decision up to them. Bottom line: be confident to ensure that business deal will be closed. 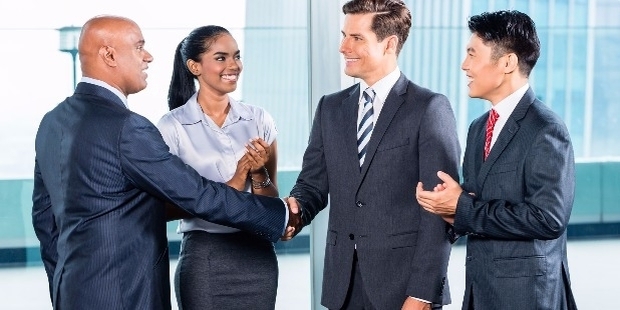 In relation to the element of confidence, sales agents are fully aware of their interactions with clients to the point that they are conscious of their body language. Most people may not realize this, but body language is a really effective tool that could help individuals become successful in whatever endeavors they are trying to do. And if you’re trying to close a business deal, then you have to be physically conscious with your movements in direct relation to whatever verbal interactions you are saying with your roster of clients. In a nutshell, body language is essentially the way you communicate with someone without using the power of spoken words. Everything from the way you make eye contact with someone to the way you hold your posture while sitting or standing up sends a message to others on how sharp your social skills are. Your clients are likely to be more receptive with your sales pitch if you’re able to maintain frequent eye contact while speaking while also displaying signs of openness such as demonstrative hand gestures to make your points. There will be times when you encounter clients who are on the fence about whether or not they should accept the deal or proposal that you offered to them, and this kind of obstacle is something that requires not only finesse but also patience. Indecisive clients are perhaps the trickiest to handle because one wrong move such as aggressive pushing might force them to decline or cancel the deal. However, if you’re able to maintain a level of calm patience while frequently checking in on them, then you’ll have a much better chance. Clients who haven’t yet decided on a proposal you presented should not be harassed to make a decision, even when such deals are time-sensitive. What you can do for this particular situation is to check in with your clients every once in a while to get an update as to whether or not they have made up their minds about your sales pitch. Following up without forcing their hand gives them the impression that you care about the deal, but that you are leaving the decision in their hands, and that’s something they will appreciate. In cases where you are compelled to do a really hard sell in order to hit your sales numbers, the best thing you can do in this situation without making it look like you’re selling hard to your clients is to show clients your previous track record. To be specific, you should show them past deals with other clients that went well and the responses you received after the deal was closed. In this manner, you’ll have a fighting chance of convincing them to agree to the deal you presented if they know that you have satisfied other clients in the past. However, you need to be very strategic as to when you should show your client the evidence of your previous deals that went really well. If you want to make a bold and declarative statement together with your proposal at the onset, then you should show off your portfolio to your client early on to make your point clear. But if you plan on playing a long game and waiting to strike at the right moment, then it’s best to keep your cards close to your chest and play your hand when that choice opportunity to make your move arrives. Of course, it really helps your cause if you present yourself to your clients with a positive attitude and cheerfully professional disposition. Clients like it if they’re dealing with sales agents who not only look friendly and approachable but also act how they appear. That’s because people in general tend to be more trustful around people who exude an aura of positivity compared to someone who is negative like constantly complaining about petty things. In short: if you want to close that deal, then your personality needs to be positive. Whether the deal closes on a good note or not, it’s important for you to keep up the positive attitude because it won’t do you any favors to the client if they see you visibly upset or unhappy if they decide to back out from the proposal. As much as possible, you should keep things light but serious throughout the whole negotiation process and be a source of encouragement and support if the client asks for your assistance. You’ll soon realize that it truly pays to be positive whenever you need business deals to close well.